This is my first proper blog post on Magento. And to be fair, it’s not really a big thing but it might be something that helps someone starting out with Magento as it was something that took me a time to figure out. I was tasked with adding a logo to the invoice template that Magento generates. Easy right? This is so going to take minutes! If you don’t know much about Magento, it is a mixture of all sorts of stuff including PHP and HTML. There are multiple templates and files where things sit. Could I find a place to add a logo? Nope. Eventually, after much searching, a solution came about. 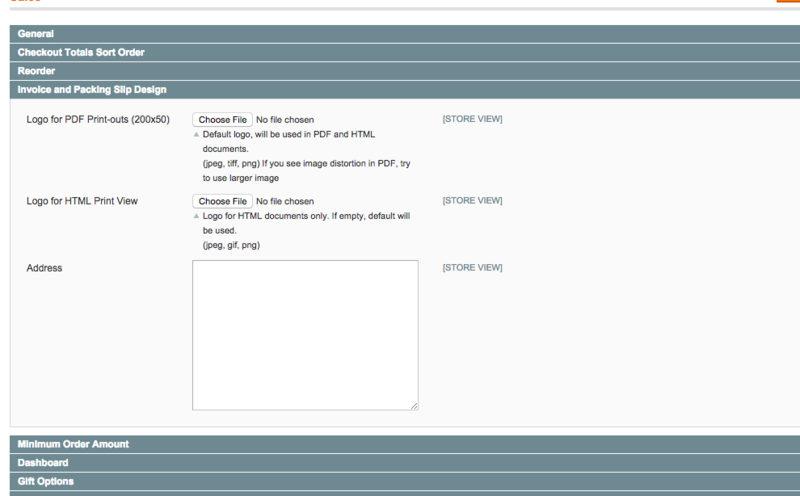 In there, you’ll find options to upload a logo for print and for HTML invoices. There are other options also in there to include address and so on. Also, regarding the logo, make sure to check file sizes and dimensions.